Fishing reels are the mechanical equipment that is fixed on the fishing rod’s end of the handle, around which length of the fishing line is wound for storage. Reels help in casting the lure or bait at long distances and reeled in the caught fish. Fishing reels also help to recover the lures correctly and to fish in deep waters along with catching bigger fish easily. It is one of the important elements of fishing. However, reels come in two types; one is spinning reels, and the other is fly reels. Fly reels are used for fly fishing, and this fishing is a completely distinctive art. Coming on spinning category, it is further divided into three types. The reel that is probably the toughest to handle is baitcasting, due to the turning of the spool while casting. If you are using this type of reel, you would have to keep the spool under control. Otherwise, it might transform into a dirty line nest. The reel performs brilliant with heavy lures and lines and is also regarded as accurate. Experienced fishermen probably use this reel as it takes time to master the cast. The spinning reel is the most famous reel. It consists of the design of open faced. These reels are easy to use as compared to bait casting reel. Spinning reels also offer more accuracy compared to spincast reels. Overall, it can be said to be a versatile one. The capacity to hold the line is great, and one can purchase it with an additional spool. The additional spool will make it easy to alter the line on the water. However, it might not work well when the requirement of heavy lines comes. Spincast reel has a close faced design. It has a nose cone where all the crucial parts are inserted. The line will come out from a small hole in the cover. These reels can be used in the easiest way. Hence, there are many outfits that are designed even for the children. If you use this reel, you would have to press the back button of the reel while casting forward. The first advantage of using a spincast reel is that it is very cheap. Hence, if it breaks suddenly accidentally or by children, it will not be a big matter. The next benefit is that using techniques of this reel can be learned easily. Spincast reel can both be left handed and right handed. Some of them even possess handle, and you will be able to move them to any side. One of the best things about a premium quality spincast reel is their excellent durability. ​These reels can control the lightest fishing line and would be perfect for ultra light fishing of two or four pounds. Spincast reels might not work well for heavy fishing lines as well as catching stronger fish. The system of drag used in this type of reel is even not much good compared to what other types have. If you fish using this reel, you might face difficulty in keeping the line tightly on the spool. They even become stuffed by loose or twisted lines. In that case, you would have to take off the cover to correct it. Spincast reels are the best way to influence the younger as well as the uninitiated ones to fishing. It's just the next leap from the customary string and pole method of the fishery. Beginners come to fishing using these reels as it doesn't have the issues of the customary method. Since the spincast reel comes in a closed design; it doesn't have the problems like the entangled line. You will have first to familiarize with the device you are using. There two basic varieties of spincast reel, one is top mounted and other is bottom mounted. Top mounted reel has entirely a closed construction that averts the line from turning entangled while casting. The button of casting is located at the reel’s back to make it easily accessible. On the other hand, the bottom mounted reel has trigger instead of a back button. However, it also has same closed construction. You need to unscrew the reel’s front cover to access the spool if the line is not wounded on the reel. The line has to be inserted into the cover’s hole perfectly and then around the spool an arbor knot has to be tied. The arbor knot comprises of an overhand knot surrounding the main line and also another such knot binds in the line’s tag end like a stopper. Then the line has to be tightened around the spool. Lastly, you would have to fasten the end cap on the reel and hang the line on it. Now the line has to be threaded through the rod’s eyes, and the end tackle that will be used has to be mounted. This could involve a hook, weight or any other thing, depending on the fishing type or the used bait. Usually, almost all fishing types and fish species are adaptable by Spincast fishing. This is probably the reason to consider it as a versatile method. While casting the fishing line, you need to be sure that one to two feet of line is there expanding from the rod's end. Basing on the reel type, the button of casting has to be pressed, or the trigger has to be pulled forward. As a result, the line inside the reel will be in its accurate place thereby not allowing the line to rescue from the spool. The rod has to be brought in front and back to produce momentum. Or, one can simple hold it over water and let the bait fall to a place underneath the angler. While casting, the trigger or button has to be released, where the rod will be moving in front towards the marked place on the water. If you are dropping the bait in the water, then you will have to release the trigger or button to let the bait drop in it. Beginners usually use this method to learn the way of operating spincast reel. 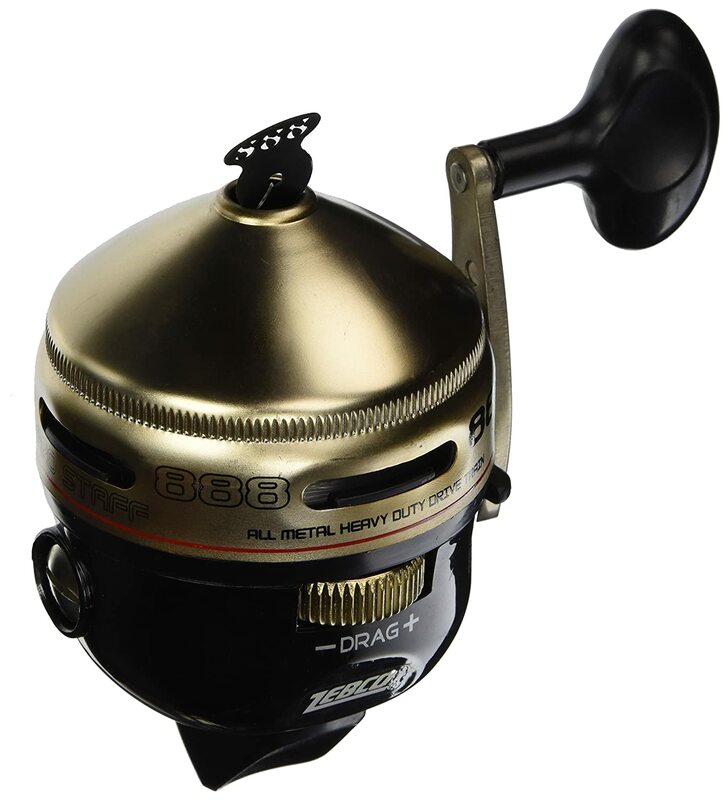 When the bait reaches the depth in the water where you want to fish, the handle of the reel has to be turned. This will start the mechanism of the line holding and spooling process of the line. You just have to wind more and more to take up more and more line. Omega illustrates the superior standard in the case of spincast technology. It is the first spincast reel that has seven bearings. This spincast reel has been designed like cozy ergonomic which is just unique. The bearings are of stainless steel, and the reel offers anti-reverse continuous action. It consists of the spool quick change system along with levelwind oscillating spool. The other features include ultra smooth gear drive, line pickup of 3X positive along with multi-disc Triple-cam drag. 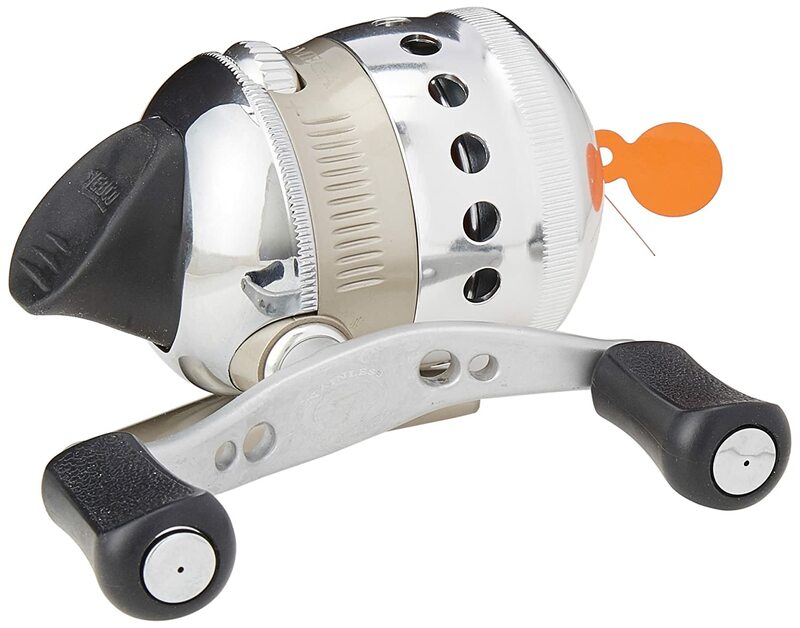 This Omega spincast reel has been provided aluminum diecast body together with aluminum aircraft-grade covers. It has a sealed thumb button of soft-touch rubber and line capacity of 85 yards. 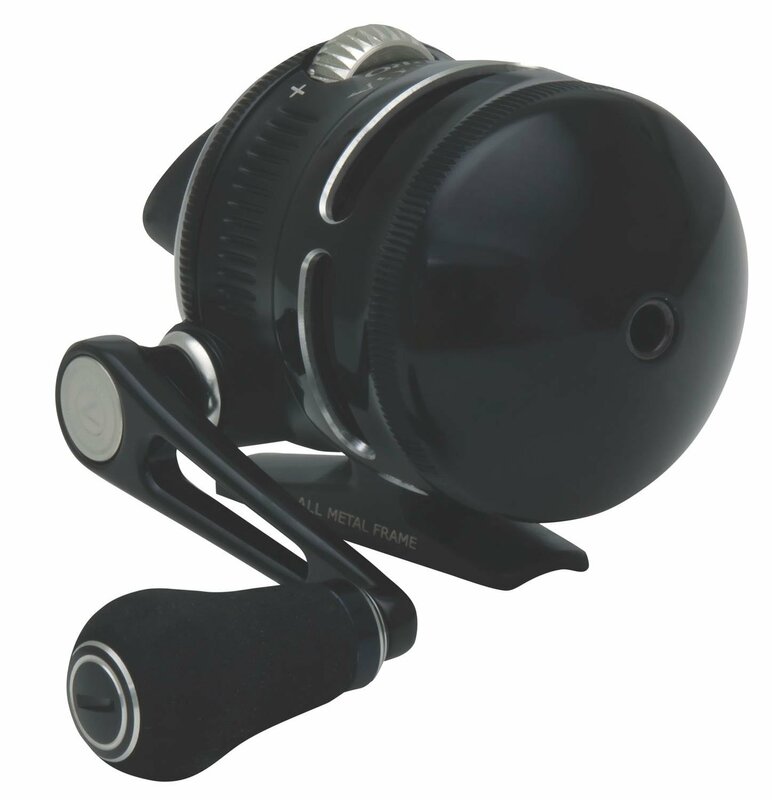 Omega ZO2 spincast reel is very durable and is constructed with metal. This spincast reel is smooth to operate. It has the system of 3X positive pick up line system and level wind spool oscillating system. This spincast reel has a spare quick-change spool and comes with aluminum die cast body. It has aluminum aircraft covers along with multi-disk triple cam drag. The reel possesses reversible power crank handle and soft-touch thumb sealed rubber button. The reel has the feature of Auto bait alert. I like this feature because it signals at the time of reel by making a sound. The function of Continuous Anti-Reverse is also important because it helps the reel to unwind immediately as the fish gets on the line. The gear ratio could have been a little more. Zebco Prostaff spincast reel is large and made tough. It has the drag system of a dual cam. This spincast reel has ball bearing drive. The reel is the made up of metal and can be pre-spooled with monofilament of 25 pounds. It has the gear ratio of 3:0:1 and 20 lbs of line capacity up to 100 yards. The drag adjustment is very precise. The gear drive assembly is made of cheap formed metal. 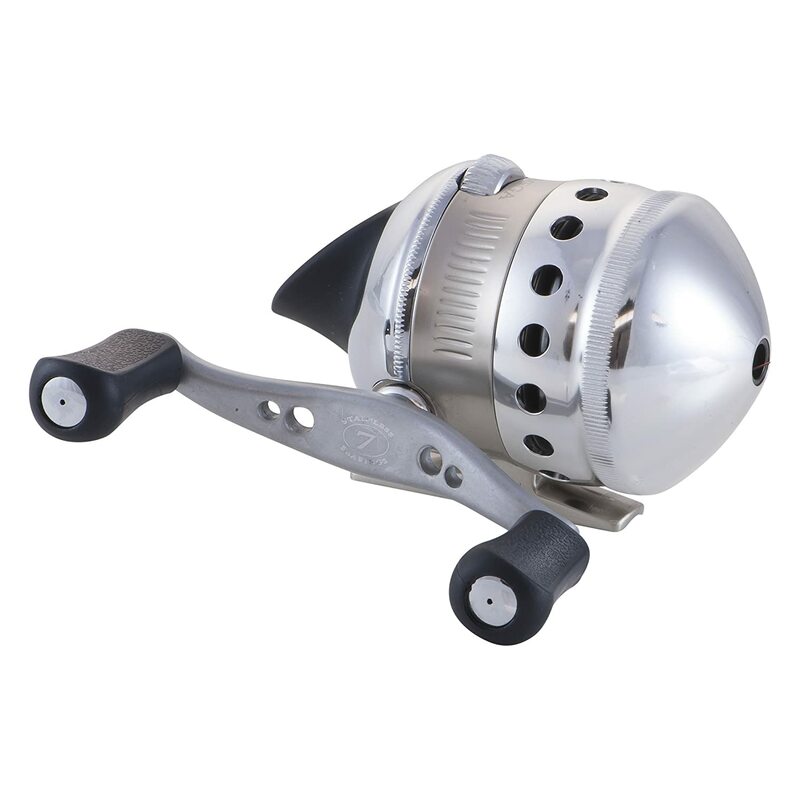 The Zebco Omega 2 pro fishi﻿ng spincast ree﻿l is of light weight. This spincast reel performs highly. It is also 20% lighter compared to the Omega ZO3 Pro. The reel is designed for fishing light tackle and pre-spooled with 6 pound Cajun Red line of 85 yards. It has seven bearings of ultra-smooth stainless steel along with the Anti-reverse continuous clutch. It features 3X positive pick up along with Ceramic pins. The gear ratio of this reel is 3:4:1. The other features include aluminum caps of double-anodized aircraft, drive gear of T-7075 with worm drive along with a spinner head of aluminum. The quick change spool is a great feature, and the spare spool is a nice touch. The drag wheel is poorly located, and drag action isn't very reliable. 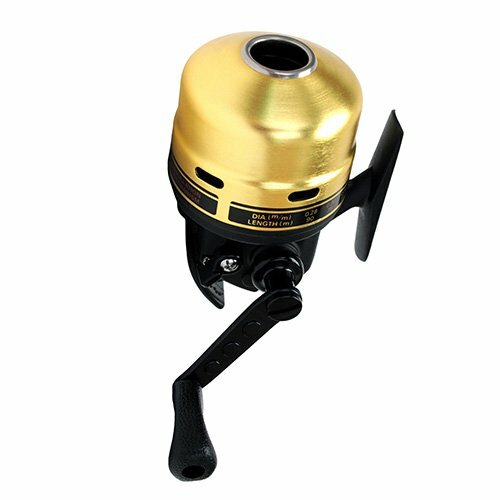 Daiwa Gold cast spincast reel is constructed of metal which is very durable. It has the oscillating spool that provides a precise winding level. This spincast reel has the smoothest drag. The reel has the ball drive bearing along with a rotating line pickup of tungsten carbide. It consists of the rough gearing, nose cone and metal body. I like the feature of advanced line aperture as it helps to cast maximum. The drag system is multi-disc and ultra smooth. The gear ratio of this gold cast spincast reel is 4:1:2 and weighs 12.0 ounce. Little fussy about how much lines spooled in. After determining and considering the good and bad features of these five spincast reel, for me Zebco Omega Spincast ZO2 reel is the winner. This is because the metal construction is very durable and easy to operate. The 3X positive pick up line system and level wind spool oscillating system also have raised it in level. The runner-up is Ze﻿﻿﻿﻿bco Ome﻿ga Spin﻿cast ZO3 reel, Daiwa Gold cast Spincast Reel, Zebco Prostaff Spincast reel and Zebco Fishing Omega2 Pro ZO2 spincast reel.